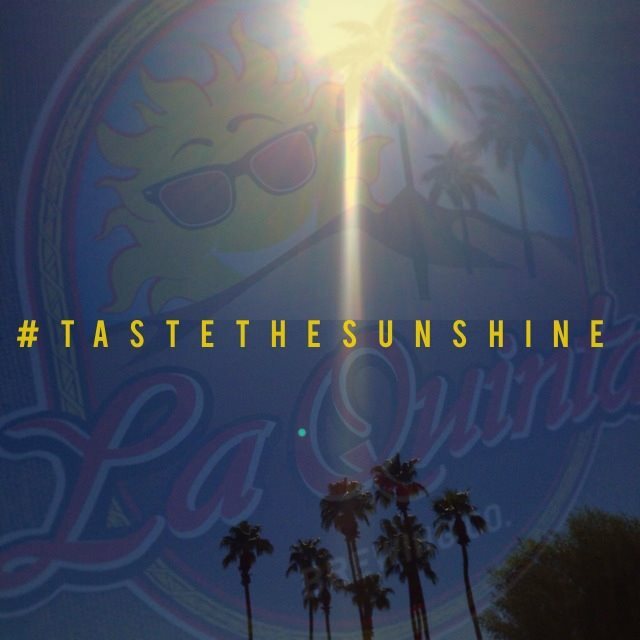 Brewtiful Daze - La Quinta Brewing Co.
BREWtiful pool days and plenty-o-sunshine are upon us! The Desert’s hot summer days are about to get a whole lot better… In addition to our “Poolside Blonde” and “Indian Canyon IPA”, our new local favorite “Sun Daze Session IPA” is soon to be released in cans. Can design is in the works and soon will soon debut! Don’t forget our “Koffi Porter” is also portable in 22oz bottles! All three are available in the tap room and throughout the valley in most major grocery stores and wholesale warehouses. In other news, our “Tan Line Brown” has recently earned the 2015 SILVER MEDAL at the San Diego International Beer Festival and is available in the Tap Room – come by and celebrate with us! Taproom is open, 7 days a week with SUMMER HOURS of 3:00pm-8:00pm. Mark your calendars for Friday, May 29th for your chance to participate in the ultra fun, “Nine& Stein” at Desert Falls Country Club. This fun event features 9 holes of golf, heavy hors d'oeuvres and great LQBC beer! Check out our Facebook Page for more details & be sure to follow us on Instagram & Twitter. Thanks for checking in and remember to “Taste the Sunshine” & Drink Local!